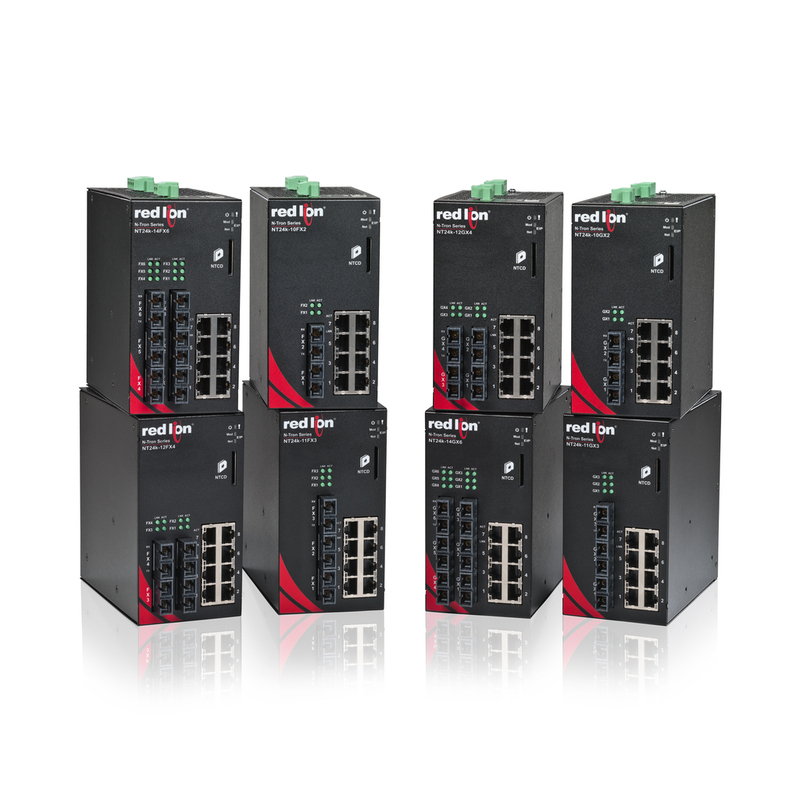 Red Lion Controls has added 18 new compact models to its N-Tron series NT24k managed Gigabit Ethernet industrial switch platform. The new NT24k 10-to-14 port DIN-rail mountable switches feature Fast Ethernet, Gigabit or dual-mode fibre ports alongside eight Gigabit copper ports with optional IEEE 802.3af/at Power over Ethernet Plus (PoE+) support. With over 100 mixed-media configuration options, the rugged NT24k platform combines the benefits of noise-immune fibre with the versatility of 10, 100, 1000Base copper connectivity to provide a robust migration path across varying industrial applications. Available with optional PoE+ support, each switch accepts redundant 22-49 VDC power input and offers a step-up power boost circuit to eliminate the need for a standalone 48 VDC power supply. The new compact NT24k switches build on Red Lion’s recent addition of Gigabit and PoE+ compact DIN-rail mountable copper switches to its award-winning modular and rackmount platform. With a hardened metal housing, each NT24k switch provides industry-leading shock (200 g) and vibration (50 g) tolerance coupled with up to a -40° to 85°C operating temperature range to ensure optimal network performance in the harshest industrial environments. 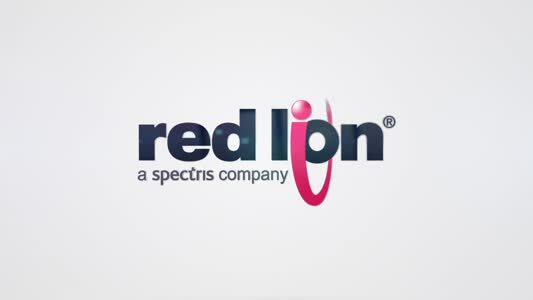 Red Lion’s rugged NT24k platform offers a full set of management features and advanced security to ease network deployment with key functionality that includes Jumbo Frame support, SD card and XML configuration backup and restore, auto-IGMP configuration, Ethernet/IP with CIP messaging, N-Ring and N-Link ring technology with ultra-fast (30 ms) recovery, N-View monitoring technology, event logging, SNTP and IEEE 802.1x with RADIUS remote server authentication. NT24k switches are UL Class 1, Division 2 Listed for use in hazardous and ordinary locations and are ABS type certified for shipboard applications. These approvals help ensure reliable operation across alternative energy, oil and gas, water/wastewater, maritime, transportation, intelligent traffic applications and factory automation applications.